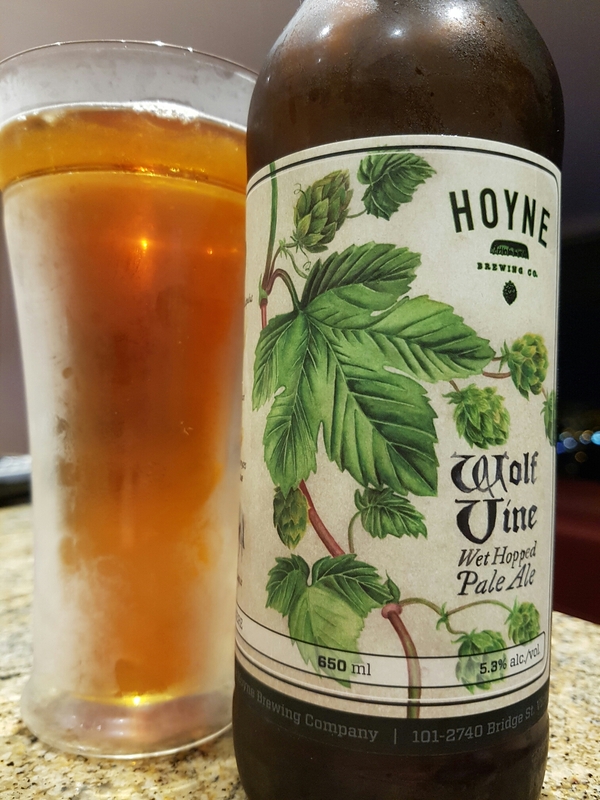 Wolf Vine Wet Hopped Pale Ale – Hoyne Brewing Co. (Victoria, BC, Canada) | Justintoxicated. Visual: Pours mostly clear deep copper with minute bits of sediment, 1cm head and 1mm retention, singular slow streams. Summary: Quite a big grassy-floral flavour; it reminds me of chamomile tea – somewhat incongruent with their barley malt base. The overall impression isn’t that good, especially considering I had the [A] rated Driftwood Sartori Wet Hop IPA yesterday.